Sidamo coffee is popular among the specialty trade, the beans are processed by either dry or wet methods. The beans produce flavour notes with a spicy character and round, balanced acidity in the cup. Category: Green Coffee. Tags: grade 2 coffee, sidamo coffee. Bright acidity, medium body with spicy and citrus flavours. “Ethiopia Sidamo” is a type of Arabica coffee of single origin grown exclusively in the Sidamo region of southern Ethiopia. Like most African coffees, Ethiopia Sidamo features a small and greyish bean, yet is valued for its deep, spice and wine or chocolate-like taste and floral aroma. The most distinctive flavour notes found in all Sidamo coffees are lemon and citrus with bright crisp acidity. 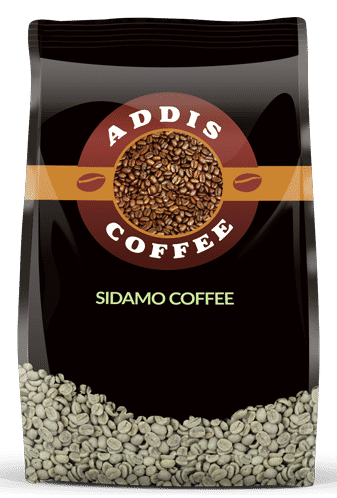 Sidamo coffee includes Yirgachefe Coffee and Guji Coffee.